43106 sb and 5643 nb just before midday, next trains were 5164 nb and 37906 sb. Then as we were heading home, 4566 sb and 43106 back again nb. This entry was posted in *Latest news by e-mail on May 31, 2010 by Sharpo. 6201 replaced 70013, which was unavailable, and is seen passing Langley Green on the outward trip to Didcot. Weather a bit on the “damp” side, but had just about stopped raining as the train came through. 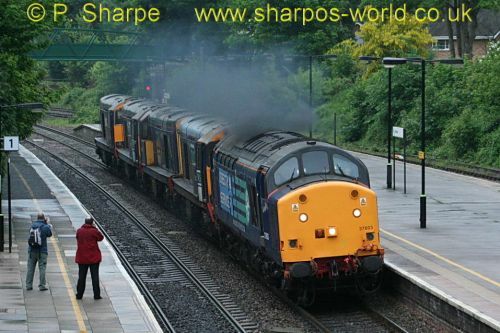 This entry was posted in Sharpo's World Photo Updates on May 29, 2010 by Sharpo. Lizzie through Langley Green at 0837, in the rain. This entry was posted in *Latest news by e-mail on May 29, 2010 by Sharpo. The 37 was used to move the 20s from Eastleigh to Carnforth. Always worth making the effort to see such a working! 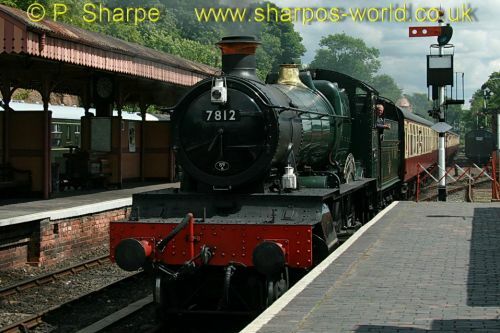 This entry was posted in Sharpo's World Photo Updates on May 28, 2010 by Sharpo. 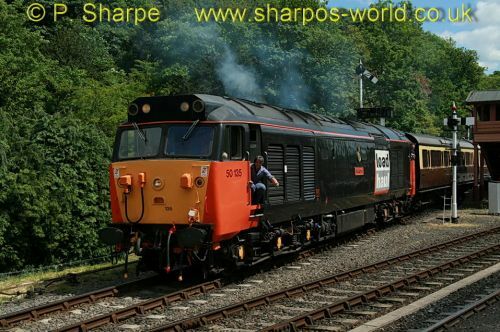 The bonus today was 50135, good job really – as both steam locos were tender-first when seen passing through Bewdley. Called in for lunch & saw both trains running. My laptop packed up on Monday morning. When I switched it on, 1 long bleep & 2 short bleeps and nothing displayed on the screen. Still under warranty so gone for repair. Had to set up the old desktop pc to deal with e-mails, so still stumbling along from day to day. This entry was posted in Computers on May 28, 2010 by Sharpo. Saw this passing through Dorridge, more photos to upload later. This entry was posted in *Latest news by e-mail on May 26, 2010 by Sharpo. On this 40th Anniversary weekend I photographed trains at Arley & Highley. There is a small album which just shows the special hauled by 43106, but this update includes all the trains seen today. At least there weren’t so many locos running “backwards” during the time I was there, yesterday must have been “one of those days”. Anyway, a shot of the special hauled by 43106. 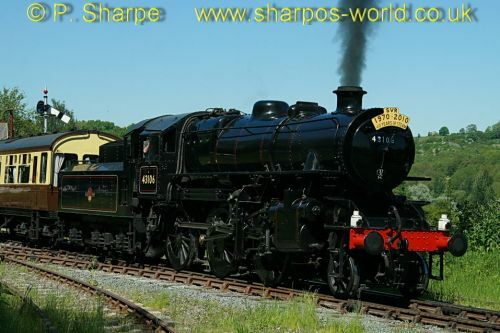 This entry was posted in Sharpo's World Photo Updates on May 23, 2010 by Sharpo. 40 years ago, on 23rd May 1970, the first public service train on the reopened Severn Valley Railway departed from Bridgnorth at 2pm. At that time, the line was only open as far as Hampton Loade, but today the commemorative special ran the full length of the line to Kidderminster. 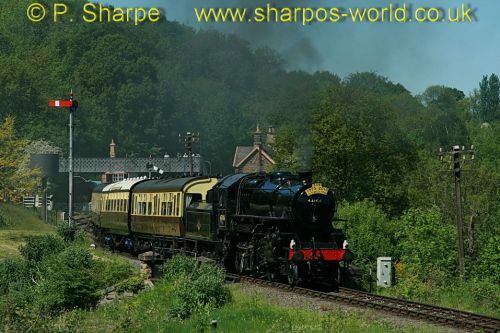 These photos are also included in the “23rd May” SVR album. Leaving Highley behind 7812 at 15.35. Didn’t forget my Highley Slice! This entry was posted in *Latest news by e-mail on May 23, 2010 by Sharpo. 4566 passing Engine House nb at 15.01. Next train sb will be mine.